If you have a date and an occasion to celebrate, Huntington Catering provides creative menus and the experience to bring your celebration to life. Whether you’re hosting a small, intimate party or a large-scale event, our service and cuisine will make your event high-impact, special and memorable. We possess extensive experience providing a range of catering services to meet every possible need. Our menu planning and catering services can match the scale of your ambition, hosted anywhere from your own backyard or office, to beaches, parks, halls or at any one of our exclusive affiliated event venues. Huntington Catering is staffed by exceptional, attentive individuals who are passionate about hospitality and who possess a deep commitment to providing service of unequalled excellence to your event. 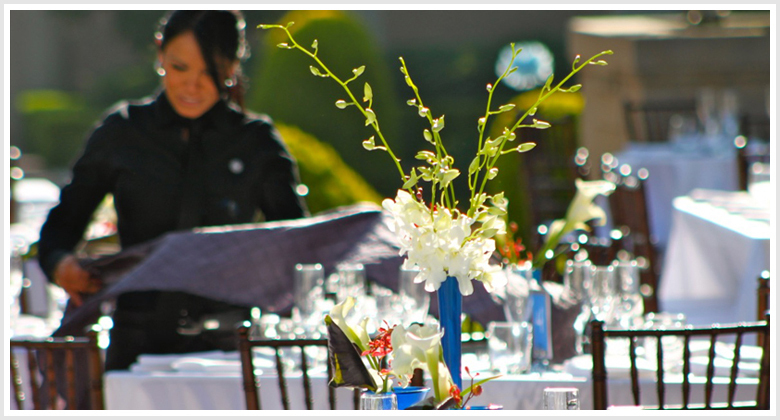 Huntington Catering is as passionate about the success of your event as you are. By delivering the perfect blend of cuisine, ambience and hospitality, we ensure that on the day of your party, you can focus on enjoying your special event you’ve been eagerly anticipating.